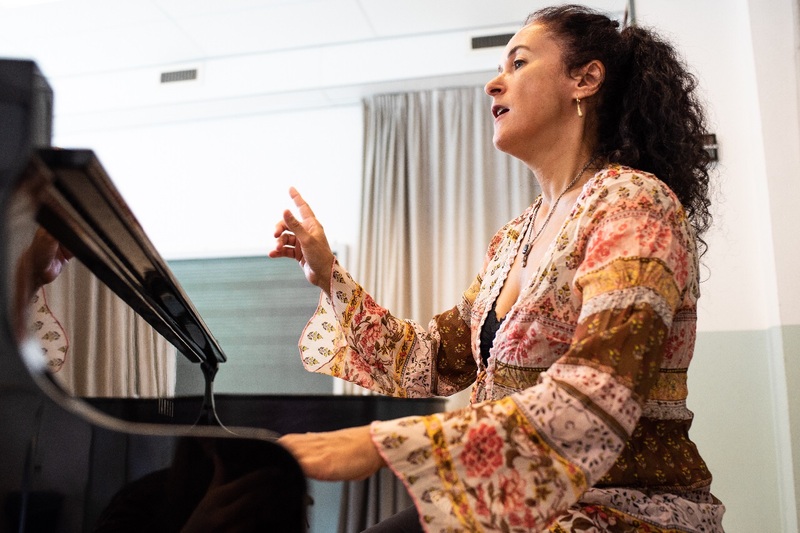 Estill Voice Training lessons on Curacao! For beginners….if you ever dreamt of learning to sing….here's your chance! No matter how old you are, this system works for everyone! Problems with voice breaks, breathy sound, loss of high notes after a gig, not enough volume or always too loud, vocal strain? Learn how your voice really works and learn how to solve these problems! Learn to adapt your voice.... how would you like to sound? Terms like “chestvoice, headvoice, nasal sound” what does it really mean? Understanding these techniques and learning new skills opens up a new world of possibilities in making sounds. Learn to make choices in sound suiting the song and add more variety to your repertoire. Between July 9 and August 10 there are several options for singing classes. You can attend a 4 hour workshop which teaches you several handy vocal skills that you can apply immediately. This workshops will be on Saturdays from 10.00-14.00. Price is 50 ANG. The workshop also works fine in combination with individual lessons. All individual lessons are lasting one hour each and are recorded for you for the purpose of monitoring your voice and progress. Monica Millar is an EVT (Estill Voice Training) certifiied master teacher in The Netherlands since 2005. EVT is a system based on scientific facts. The system EVT approaches teaching singing in a physical way. You'll learn what to do with your larynx and surrounding muscles to influence and enrich your voice. These are tools you'll learn right at the beginning of the course so you can start adapting your voice immediately!